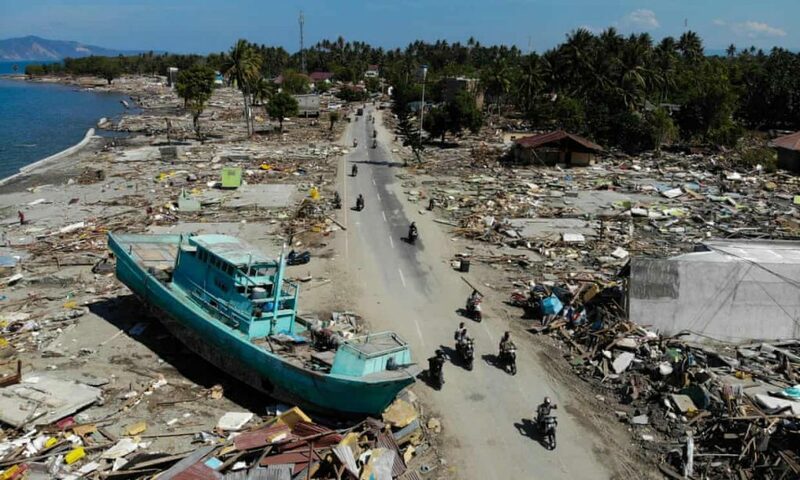 A 7.5 magnitude earthquake struck the Indonesian island of Sulawesi on Friday at about 6pm and was followed by a tsunami with waves up to 6m (20ft) high. 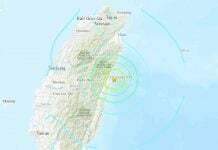 The death toll from the earthquake and tsunami is now exceeding 1000 and is expected to rise sharply. 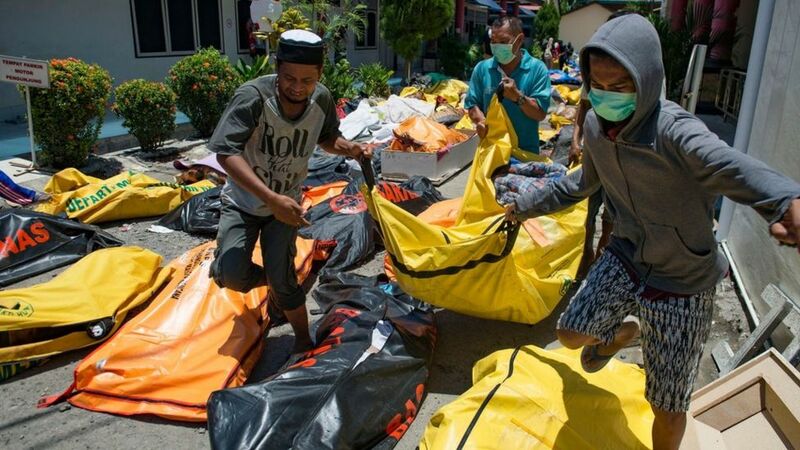 In Palu, authorities are preparing a large mass grave for the burial of the bodies which have been piling up over the weekend. The grave, which will be 10 metres by 100 metres, is being dug for 300 victims and can be enlarged if needed. According to Sutopo, this is a temporary measure to stop disease spreading. 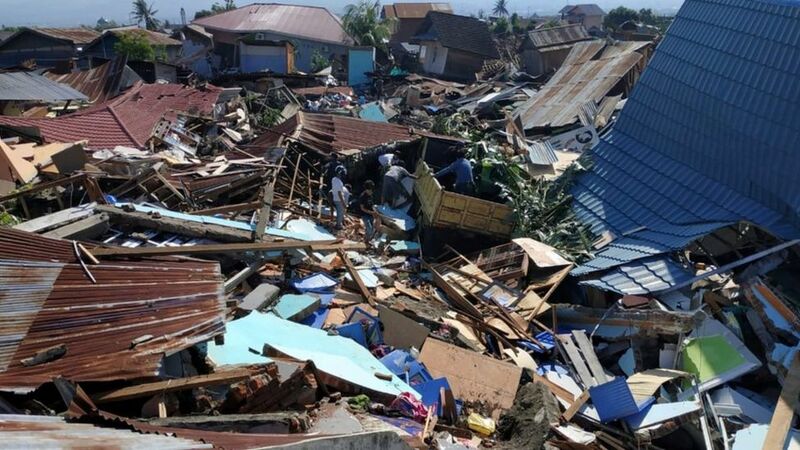 Indonesia has confirmed it will accept international assistance for the disaster, and has put out calls for help. Australia and Thailand have so far offered support. 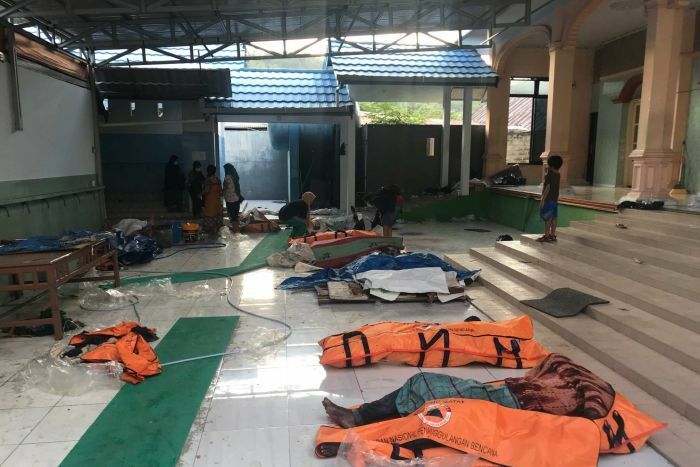 Efforts continued to save up to 40 people trapped in Palu’s Roa Roa hotel, where victims could still be heard screaming from the rubble on Monday morning. Only one survivor has been pulled out alive. 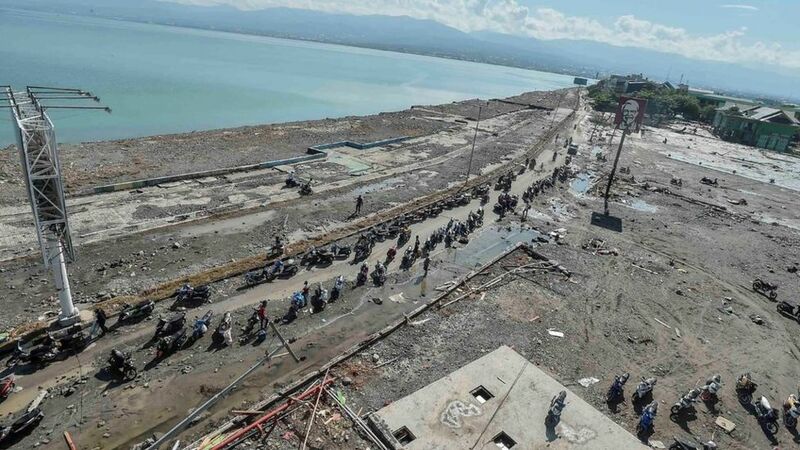 Indonesia’s Meteorology, Climatology and Geophysics Agency has said they ended the tsunami warning for Sulawesi after the third wave had hit the shore of Palu, not before as some had alleged. 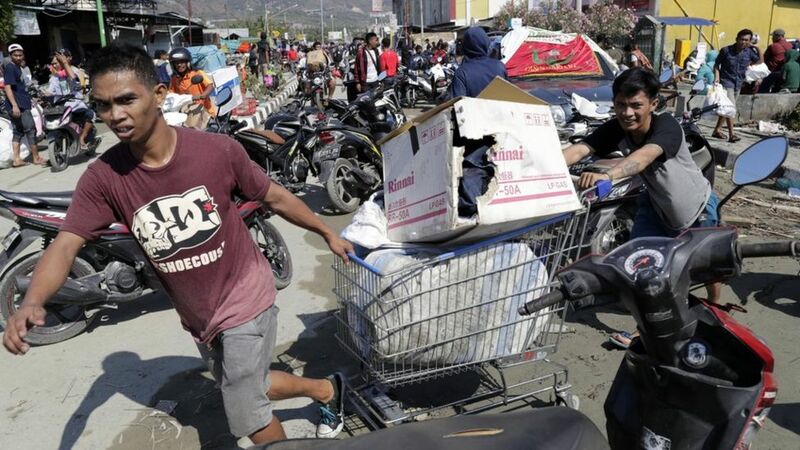 Some telecommunications had been restored to the area but there continues to be no power in Palu. There is also a shortage of food and fuel in the city, with huge queues at petrol stations. That is devastating! Have a prayer for them all! Liquifaction played a lot in this earthquake. Liquifaction swallowed buildings. 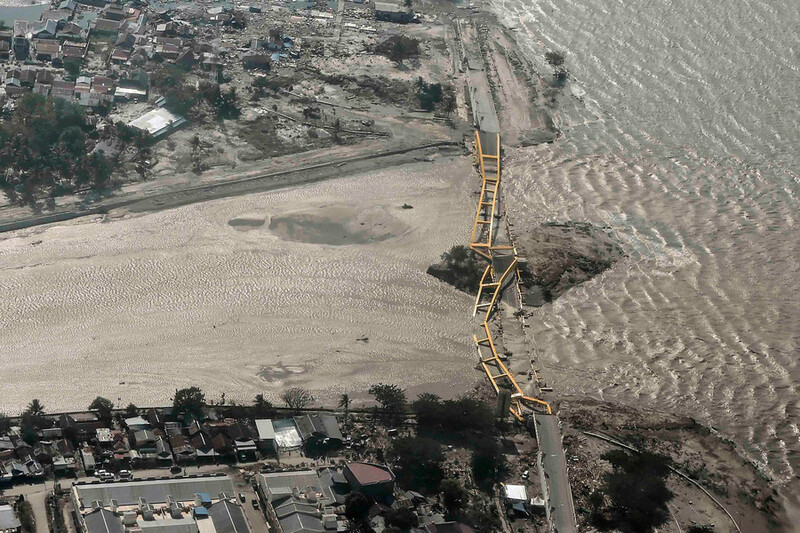 Liquifaction made landslide and mudslide moved many houses and buildings. 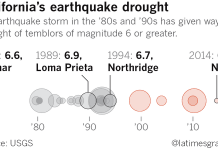 According to USGS, the after shocks of tremors depths are still exact 10.0km just! in Sulawesi Island. 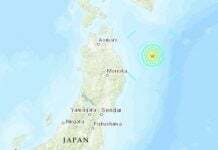 10.0km depth tremors are signature of the clean up operations of Galactic Federation of Light. 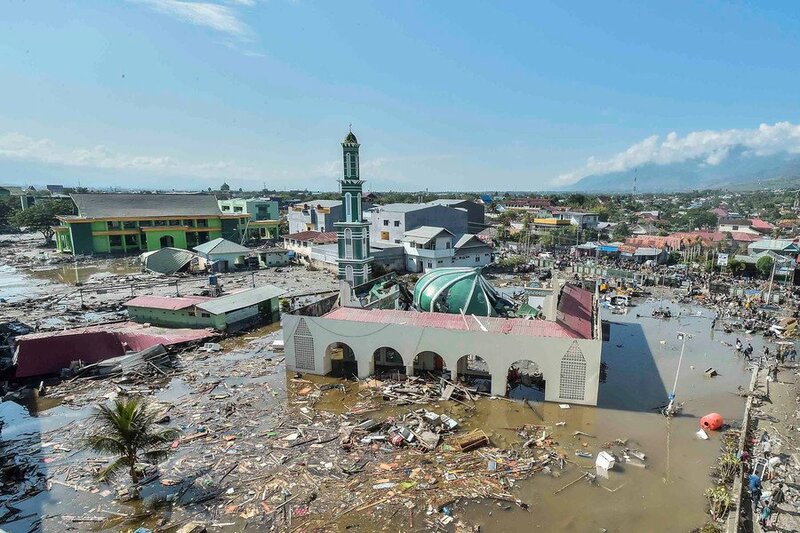 I don’t know why Indonesia had gotten so many disasters recently. They have so much karma to clean up? The religion (Muslim) might be a culprit. The heavy religion contaminates their culture including so many restrictions for women. All the religions will be terminated on the Earth soon or later because all the religions have been created by Reptilian Entities in order to control human (cattle).